The Finnish manufacturer Jolla resumed the crowdsourcing campaign for its first ever Sailfish OS slate. 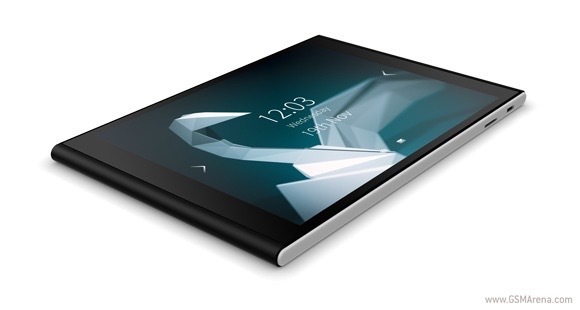 The original Indiegogo campaign for the Jolla Tablet ended on December 9 last year with 480% funded. Jolla Tablet returns to Indiegogo with slightly improved hardware and special $249 price tag. The changes in the tablet include 64GB of built-in memory (up from 32GB on the original offering) and support for 128GB microSD cards. Laminated display, built-in gyro and compass, and slightly larger 4,450mAh battery are also features that were missing in the last campaign. The slightly improved Jolla Tablet will begin shipping to backers in June. Users who already ordered the Jolla Tablet with 32GB of memory should not despair - a $25 perk is available for those who are willing to upgrade their existing order. The 32GB version is still available to order for $219. Jolla’s latest Indiegogo campaign will last through February.